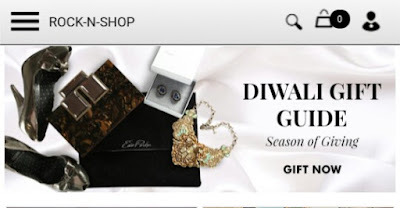 Today I am going to share Diwali Gift Guide at online store Rock N Shop . 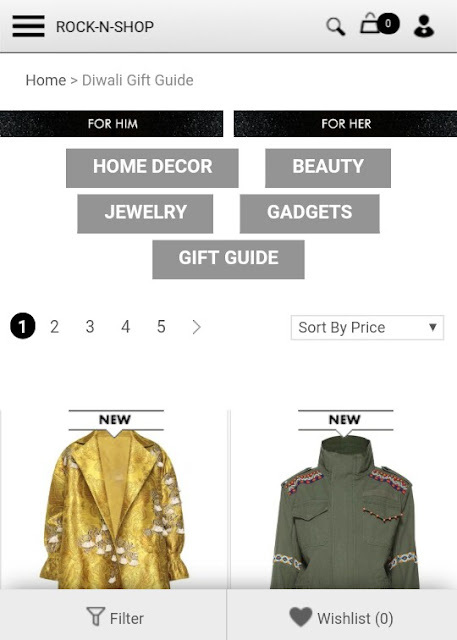 As mentioned in my last post Rock N Shop is an online store where one can buy Curated Luxury Products . Right now Diwali Sale is going there where as one can buy products at up to 70% off . The Diwali Gift guide contains everything that one would want to gift , starting from Apparels , Jewelry , Accessories , Gadgets , Cosmetics & Skin Care etc . One can buy gifts by category or by price etc . One can find some good stuffs there at Gifts under Rs 5000 . 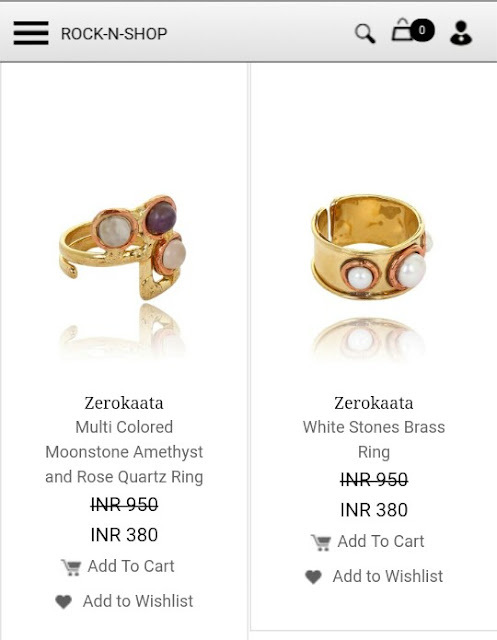 When I browsed the Jewlery Section I saw some Awesome Pieces Like Earrings and Finger rings . One can buy these lovely Designer Jewelry at discounted prices . And these will be Ideal for gifting as are too good and classy . Also after discount the price is affordable . In Beauty Section one can get products from brands like Mantra & Tvam , all goods products at discounted & affordable price . In Home Decor Section one can get some beautiful lamps . 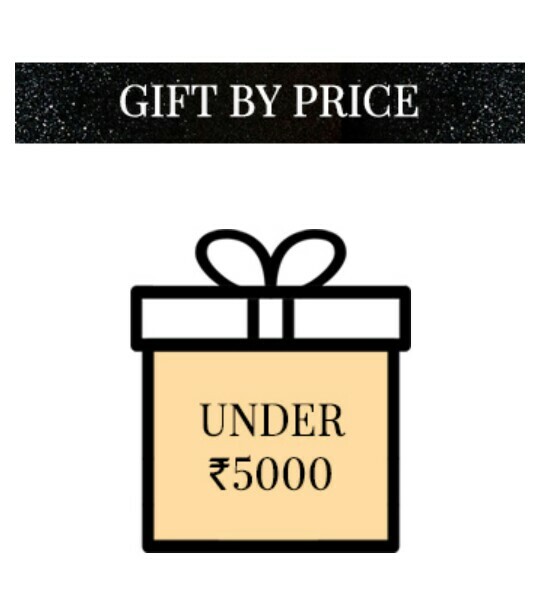 So there are wide range of products in their Diwali Gift Guide , one can buy those Classy & Elegant products at discounted price and gift it to their near & dear ones . 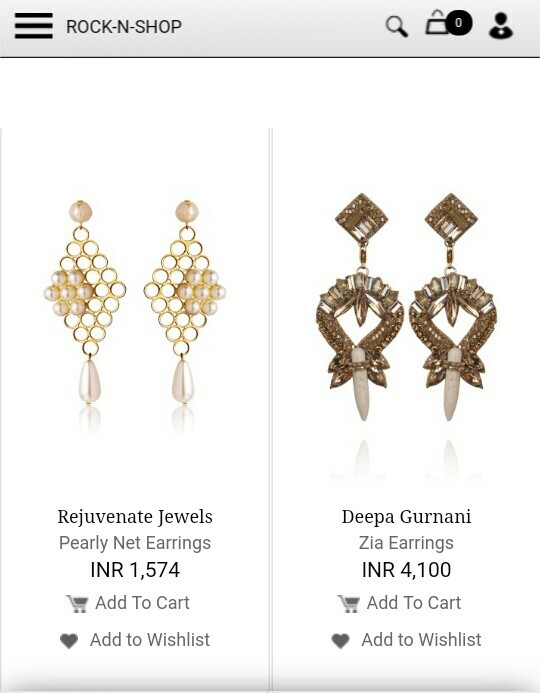 Among all the products I browsed at their Diwali Gift guide , the one I liked most is Jewelry section as one can get classy & unique pieces at affordable price . So do check their Diwali sale & Diwali Gift Guide and buy some thing for your self & for your near & dear ones .